Are you in the Calgary area? Get a free estimate. Looking for a new energy efficient furnace for those cold Calgary winter nights? Need a garage heater for that ultimate man-cave? Maybe your current furnace just needs some repair or maintenance? Whatever your furnace needs, A Better Way Plumbing & Heating Calgary can help. Don’t wait for your old furnace to stop working. We can typically replace your furnace in less than a day at very affordable prices. Jason and the team can repair your existing furnace or install a new, energy efficient furnace perfect for the size of your home. Trust us to get you the best furnace for your needs. 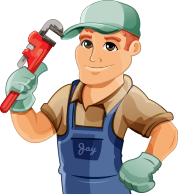 If you need any of our plumbing, furnace & heating, hot water tank or commercial services, get a free estimate today.